Vacationing is not only confined to lounging in beaches and eating various delicacies, but also to enjoyable activities. There are a few vacation spots that enable tourists to enjoy exceptional activities for which they do not have any prior knowledge. Smith Mountain Lake is one the tourist destinations that enables you to enjoy striper fishing. When it comes to vacation home rentals in Smith Mountain Lake Virginia, you can easily rent any of them at an affordable price. Smith Mountain Lake is a stunning destination in Virginia with a humid subtropical climate. Its vastness can be gauged from the fact that it is the largest lake in the Commonwealth of Virginia. It is very famous with regard to certain activities—boating, wakeboarding, water skiing, sailing and striper fishing. Among all these, striper fishing in Smith Mountain Lake is one of the most practiced ones. Being a bit ticklish and cumbersome, it requires some training for practitioners. For some, it may be relaxing while for some, it may be tiring and monotonous. The practice depends on one’s learning ability and experience. As far as the renting of vacation homes in Smith Mountain Lake is concerned, you should depend on Bernard’s Vacation Properties. It can provide you with vacation a condo, equipped with all the amenities— Wi-Fi, Grills for outdoor cooking, Cable TV, DVD Players and big screen HDTV. Each condo features a one or two bedrooms with plush mattress, a king-size bed and ensuite bathroom; a kitchen with utensils, soap products, linens, a full-sized washer and dryer and several other new appliances. Six individuals can easily accommodate themselves in a condo. In addition, each condo features a private patio that allows renters to have amazing lake views. Apart from this, you can also avail yourself of all inclusive vacation packages in Smith Mountain Lake Virginia to enjoy your vacation. They include everything, ranging from accommodations to breakfast, lunch and dinner. Are you thinking of the best way to enjoy your holidays with your family members? Ever thought of Virginia? Well, it is an amazing destination to enjoy your holidays. It is a state, which is located in the Southeastern and Mid-Atlantic regions of the U.S.A. It has a mild climatic condition year-around, which allows tourists to land on its soil anytime. 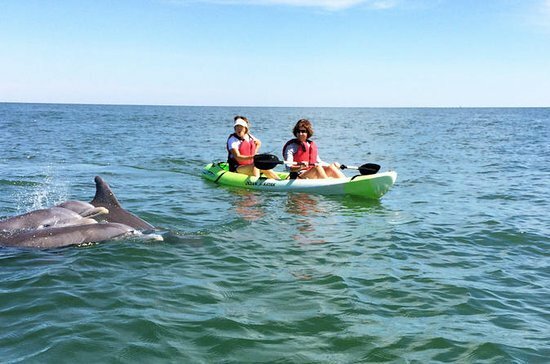 The destination has many attractions—The Cape Henry Lighthouse, Virginia Aquarium & Marine Science Center, Mount Trashmore, Atlantic Wildfowl Heritage Museum—, provides many enjoyable activities, such as kayaking, dolphin watching, whale watching, golfing, fishing, hiking, etc. In addition to this, many popular events are organized from time to time. In terms of accommodation, vacation home rentals in Virginia can allow you to stay comfortably. They are of various types—condos, apartments, cottages, inns, etc. You can get any of them booked per your choice and budget. While staying in these rentals, you will get to enjoy all the facilities, such as dining room, living room, parking, air-conditioning, Wi-Fi, Internet, TV, etc. In addition, breakfast, lunch and dinner will be provided to you on a timely basis. But, the question that arises is? How to book these rentals? Well, you need to get in touch with Bernards Vacation Properties. It deals with the vacation rental services. It has many rental properties for its clients. According to your choice and budget, you can get any of them booked. If you want to enjoy the holidays with your spouse, kids or parents, then family sized apartments in Virginia will be suitable for you. They are available for all budgets and you can rent any of them easily. Try to rent an apartment near a beach as you will be able to enjoy the refreshing atmosphere and oceanic views. Hence, on landing at Virginia Beach, you won’t have to face hustle and bustle. With any inclusive vacation package in Virginia, you will be comfortable and stress-free. Smith Mountain Lake is one the best place, to choose as your vacations destinations, especially if you are looking for the peaceful locations, to escape from cities stressed life. Along with, it is the fastest growing part of Southwest Virginia, followed by New River Valley, and offers the best of attractions to explore, such as Explore Park; Smith Mountain Lake community park, Roanoke mountains, Mayflower Hills Park, Roanoke River Overlook etc. “Bernard’s vacation properties” is presenting you a great opportunity to enjoy the best of your vacations experience, at our vacation home rentals Virginia, in which we are offering five of our vacation rental properties, with the best of amenities at reasonable prices. These includes luxury bedrooms with different accommodating capacity, hot tub, kitchenette area, homes with spectacular lake and mountain views, indoor pool, dining area, boat rentals and many others. The best of fun and adventure activities one would love to enjoy, is striper fishing in Smith Mountain Lake, along with that, sightseeing, miniature golf and wildlife viewing. Striped bass fishing in Smith Mountain Lake is one of the favorite activities, which people of every age love to do. The great thing about each of our vacation home rentals, Virginia, is that, they are situated at the safe, clean and kid-friendly location, so, even you are on a family vacations, you do not have to worry about your kids and hygienic conditions. Each of our rental properties, is fully furnished, and offer soothing ambience, for the relaxation of travelers. All inclusive vacation packages are the best to avail, as they are a complete package, which offers accommodation, food, and other facilities as well, that too at reasonable prices. Bernard’s vacation properties are offering its 5 condo properties, in the beautiful location, offering spectacular views of mountains and lakes. The best thing is that, it is offering all inclusive vacation packages Virginia, in which it is offering Smith Mountain Lake fishing, in which you can also enjoy, striped bass fishing in Smith Mountain Lake. The great thing about its vacation rental properties via all inclusive vacation packages Virginia, is that, each of our vacation rental property is fully furnished and elegantly designed; great for families; safe, clean and kid-friendly location; offering best attractions such as The Landing Restaurant, Cruise on the Virginia Dare, Bridgewater Plaza etc. So, travelers who is nature, fun and adventure lovers, have the best opportunity, to avail the best of our packages to have a joyful time, and that too at affordable prices. Along with getting, you are going to get the best of fun activities such as- Smith Mountain Lake fishing and striped bass fishing in Smith Mountain Lake and many others as well. Apart from that, all of our vacation rental properties, offers the best of luxurious amenities, for providing a comfortable and relaxing stay, the best facilities for children as well that includes separate children wading pool and play area. So, hurry up to avail our best packages at reasonable prices. Vacation in Virginia and that too nearby Smith Mountain Lake, is the best thing to do on weekends. As it offers the great fun, no matter what type of traveler you are, this city has a lot to offer. Well, if you are the lover of striper fishing, and looking for an accommodation, vacation condos rentals Smith Mountain Lake is the best place. Because these vacation home rentals Virginia provides the best condo rentals with striper fishing in Smith Mountain Lake. Travelers can get to enjoy, the great number of leisure and adventure activities @ vacation condo rentals Smith Mountain Lake. These are wakeboarding, Play Miniature Golf, horseback riding, exploring the Smith Mountain Lake Community Park, shopping, performing water activities, swimming and much more along with striper fishing in Smith Mountain Lake as well. Apart from that, we are providing our guests to choose between 5 of our condo rental properties, in which 3 of them are one bedroom property, and 1 is two bedrooms property and another one is 3 bedrooms property, so you can avail any of them, according to your suitability. Along with that, travelers who are availing accommodations at vacation home rentals Virginia, is going to get a very relaxing and comfortable stay with all the luxurious amenities such as pools, fully equipped kitchen, big screen HDTV, free WI-FI, grills for outdoor cooking, living room, king- sized bed, queen size bed, beach chairs and many others. The great thing about our properties is this that all of them offer complete privacy, and the best of world class attractions to explore with your loved ones. So, come here, and get ready to fill yourself with excitement, while exploring the wonders of this lovely place. Virginia is a state known for love and romance vacationing here is very exciting thing. As this city of love offers great number of attractions to explore and if you a planning to spend your vacations here with your soul mate, then renting a Vacation Home Rental is going to be the perfect accommodation for you if you are thinking- why so? Then, here Bernards Vacation Properties is here with some good reason to opt for Vacation Home Rentals, Virginia. 1) Enjoy Luxury at Affordable Prices: – The first good reason to opt for a Vacation Home Rentals, Virginia is that you can get to enjoy the luxury at affordable price. As Vacation Rentals are the properties which offer fully furnished homes at low prices. 3) Location of the Property: – Our All Inclusive Vacation Packages, Virginia offers the freedom to choose the location of your rental property. As Bernards Vacation Properties offers its travelers best family sized apartments Virginia, where you along with your family can also get to enjoy the fun activities. Whereas hotel does not give their travelers this kind of freedom and if you want to avail property at best location you have to pay big bucks for that. 4) Attractions with Adventurous Activities: – The great thing about Bernards Vacation Properties is that, it offers great number of attractions such as Explore Park, Smith Mountain Lake Community and Roanoke Mountain, Vineyard Park West, Stonebridge Park and many others. Where you along with your family and friends enjoy the best of adventure activities – These are Fishing, Skiing, Hiking, Canoeing, Boating etc. 5) Enjoy Complete Privacy: – The drawback of booking hotel rooms is that they have lack of privacy, anytime service staff can come at your door to disturb you. But the best thing travelers get at Vacation Home Rentals is complete privacy No one is going to disturb you, you can enjoy the way you want. Apart from that Vacation Rental Home offers comfort and relaxation along with the homely feel of staying at another home away from your home. Group vacationing is the most exciting thing no matter what destination we choose as our vacation spot. But choosing the best destination along with it, seems like icing on the cake. One of the best destinations is Smith Mountain Lake which is the most popular lake in Virginia and also famed as “Jewel of the blue ridge mountain “. Bernard’s vacation properties have introduced its group vacation packages, Smith Mountain Lake to make your vacation more exciting. In that, there are providing you all inclusive vacation package Virginia at very affordable price. These Smith mountain lake luxury villas rentals is offering villa with spacious rooms and complete privacy along with all the luxurious amenities. They are offering 5 different properties from which you can avail the property that is suitable to you. Each with the choose of 2 bedrooms with king master suite with and queen bed in 2 room, 3rd singles. In our group vacation package Smith Mountain Lake we offer a beautiful condo, with is a 3 bed room, 2 bathrooms home that is fully equipped to provide a great vacation experience. Along with that, it is located in the starboard by the sea complex and offers fantastic views of sunset. Smith mountain lake luxury villas rentals provides you amenities such as luxury equipped kitchen, central air, washer dryer, HD TV, superfast Wi-Fi etc. Along with that, our all inclusive vacation packages, Virginia offers the best nearly attraction to explore for its travelers, When they can enjoy like anything. These include the landing restaurant, choice on the Virginia Dare. Smith Mountain Lake boat rentals; Bridgewater plaza etc. The great thing you can get @ Bernard’s vacation properties is a private pool. When you as a whole group can enjoy the best time, Apart from that our home are fully furnished and you can enjoy the beautiful view of this whole lake along with beautiful mountain from the balcony. So choose our group vacation package and get the change to enjoy a luxury stay at. Bernard’s Vacation Properties is presenting its travelers the greatest opportunity of booking Vacation Condos with Boating in Virginia. As it is located in a two acre waterfront resort with year-round activities for the entire family. Along with that it is surrounded with twenty two thousand acres of sparkling fresh water and 500 miles of shoreline and offers its travelers to enjoy the best family activity including Swimming, Boating, and Fishing of just relaxing. This is why these Vacation Condos in Virginia is just the perfect accommodation for Boating and Fishing Lovers. Apart from that these Bernard’s Vacation Properties is located nearby the great location of Virginia such as Shenandoah National Park, Appalachian National Scenic Trail, Arlington National Cemetery, Mountain Vernon, Luray Caverns, Williamsburg Historic District, Busch Gardens Williamsburg, Old Rag Mountain and many more. Travelers can explore these places by using the nearest transportation facilities and make their trip and exciting one. The great thing about Virginia is that this place offers various kinds of Fun, leisure and Adventurous Activities for each kind of traveler. Apart from that, Bernard’s Vacation Properties is giving their travelers the chance to stay at Vacation Condo with private Patio, Virginia, where it is providing one or two Bedrooms according to your suitability, with a King Bed with an extra thick, Plush Mattress and Full Ensuite bath. Along with that, they are dedicated to give their travelers homely feel. So, this is why also giving every amenity such Wi-Fi, Big Screen HDTV, DVD Player and Cable TV, Grills for Outdoor Cooking and may more at reasonable price. These condos are just perfect for Family Vacations. The specialty of these Bernard’s Vacation Properties is that one can enjoy here the best views along with luxury of nature. Usually people love to choose those places as there accommodation, where they can spend the best time with their family, away from cities streets and pollution. Where they can relax in the peaceful surroundings and Bernard’s Vacation Properties have these each and every thing along with luxurious stay, one dream for. And they are providing it to their travelers at best prices, where each one can enjoy to their level best. So, hurry up to avail the best offers. Smith Mountain Lake is one of the most visited tourist attraction destination famed for its nature’s stunning view and adventure activities such as wake boarding, horseback riding, play miniature golf, visit Smith Mountain Lake Community Park, fishing and much more, where you can enjoy along your family. Bernard’s vacation properties are giving you this opportunity to bring your boat to Bernard’s for more enjoyment. These properties are located on a 7 acre waterfront resort with year-round activities for the entire family including swimming, boating fishing etc. Here at Bernard’s vacation condos, you are going to get two bedroom with a king sized bed with an extra thick plush mattress and full en suite bath. There condos also have modern, fully stocked kitchens with new appliances and a full sized washer and dryer along with the amenities such as wifi, big screen HDTV, DVD player and Cable tv, grills for outdoor cooling. This vacation rental is just perfect for one or two couples and 4 sleeps. The best thing about Bernard’s vacation condo is, it has its own private patio with amazing lake views, outdoor seating where you can enjoy along with your family and friends. You can also enjoy Striped Bass fishing in Smith Mountain Lake here. So, get ready to book your rental at Bernard’s landing resort and spend your day relaxing on water, bring your boat to enjoy the beautiful lake views. Having a plan of fishing vacation in Smith Mountain Lake!! Bernard’s vacation property is providing you the same opportunity with vacation condos with boating in Virginia and large bass fishing in smith Mountain Lake. You can get the feel of never ending joy here while relaxing on the water. Along with that you can have the beautiful lake view while exploring Bernard’s landing resort and you can get the another exciting opportunity to bring your boat or rent on for largemouth bass fishing in smith mountain lake. The best thing about this lake, it is the awesome place to visit any time. But the most popular among the summer vacation destinations, where you can perform fun activities such as wakeboarding, exploring the smith mountain lake, play miniature golf and much more at affordable prices. And for exploring more with lot of excitement, you can book your vacation condos with boating in Virginia at Bernard’s vacation properties.